Sale starts tomorrow! Sale has started! If you had your eye on some of my patterns (or all) then now (well tomorrow actually) is a good time to buy them! 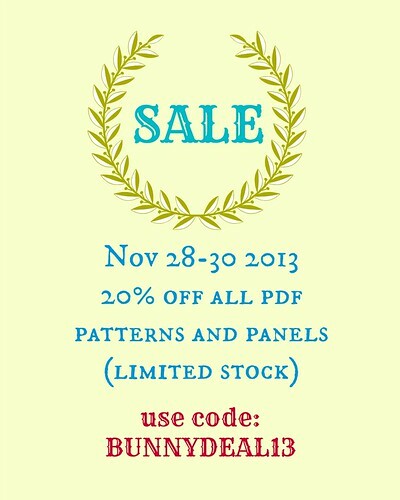 If you use code BUNNYDEAL13 you will get a 20% discount on all PDF patterns and the Princess panels too. I only have a very limited stock of Princess panels at the moment, when I run out they will be on pre-order again. 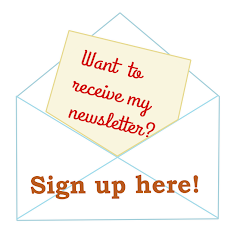 Visit my own Follow the White Bunny shop (yay!) or my Etsy shop. The sale ends this Saturday.